So, what are web analytics? The term refers to analysing the behaviour of your online visitors on the web. The actual measurement of these online events is called web metrics. Measuring and understanding your online customers’ behaviour will provide a lot of insights about how they interact with your business and products online and will help you create intelligent business and marketing strategies. These days, there are dozens of web analytics tools out there – some will provide you only with the most basic web metrics while other applications will get you a very detailed data report. Some analytics tools are free and others require an access fee. So, which one should you choose? One of the best web analytics tools currently available is Google Analytics. And as an added bonus, it’s also free! 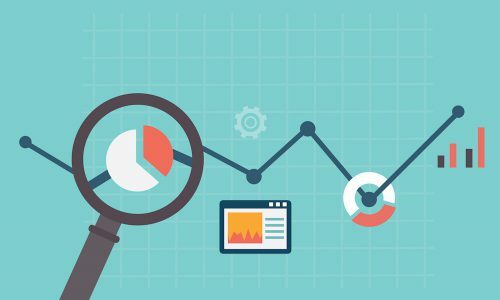 Now let’s look at the top 6 web metrics that you need to understand before you start putting together your marketing plan. A session is the period time a user is actively engaged with your website. * In other words, it means how many visits your website has received. The number of actual visitors to your website, not to be mixed with visits. For example, your website could get 5 visits from one user or visitor. Your overall number of sessions will always be higher than the number of users because a number of your site’s users will visit your site more than once. The average number of pages viewed during a session. * This metric will tell you whether your website visitors spend time browsing your site (especially important for eCommerce sites!) or if they just visit one page and leave. The percentage of single-page visits. * This metric will tell you how “sticky” your website is, or whether people stay once they arrive. Ideally, you want people to spend time browsing your site and visit more than just one page, especially if you have an eCommerce website. If you have a content or information-based website however it might mean that people found the information that they were looking for quickly and moved on. Refers to the percentage of first time visits. * The rest of your website’s traffic would be generated by returning visitors. These are the top 6 high-level web metrics that will provide you with some good insights about your online events, but there is much more data that you can get from Google Analytics if you need more detailed information. If you look at the left-hand side of the Google Analytics dashboard, you will see various web metrics categories available.